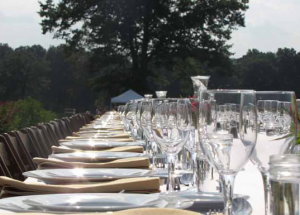 In partnership with Alba Vineyard, Zone 7 continues their “Dinners on the Farm” series with a special evening on Sunday, October 9th, 3:00 p.m., with dinner served in an elegant tent overlooking Alba Estate Vineyards. “Dinners on the Farm” events offer guests the first-hand connection between growers and chefs by combining privileged agriculture tours and exquisite seasonal meals prepared by the region’s brightest chefs. The latest event will feature Bryan Gregg, executive chef at the Ho-Ho-Kus Inn & Tavern, Ho-Ho-Kus, NJ, who will prepare a five-course meal using locally grown, locally produced ingredients from the Garden State and eastern Pennsylvania. Alba’s winemaker will pair their award-winning wine with each course and treat guests to a guided walk through the vineyard, which is cradled in the rolling, wooded hills of western New Jersey. Tickets are $120.00 per person, with 100% of the proceeds going directly to support farms struggling to recover from Hurricane Irene and its aftermath. 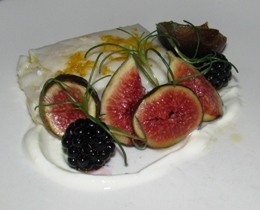 Please register for the dinner by October 3rd by visiting www.freshfromzone7.com or calling (609) 443-1771. Seating is limited to the first 150 guests.